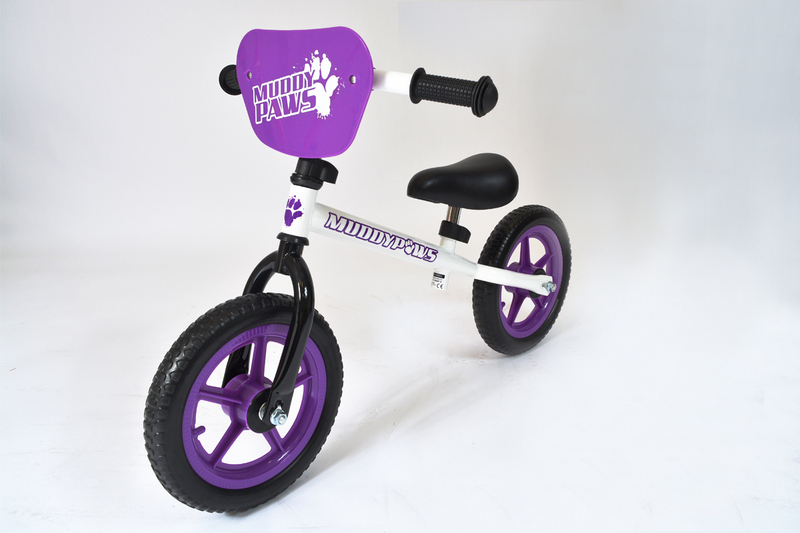 The Universal 12"" Balance Bike is the perfect introduction to cycling for your young one. 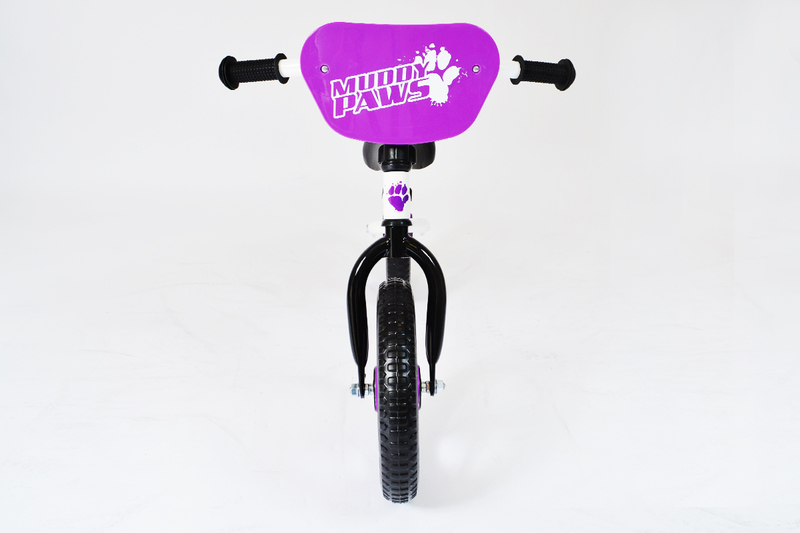 No chain or pedals to worry about the bike features Robust Lightweight Frame (good for carrying back to the car!) 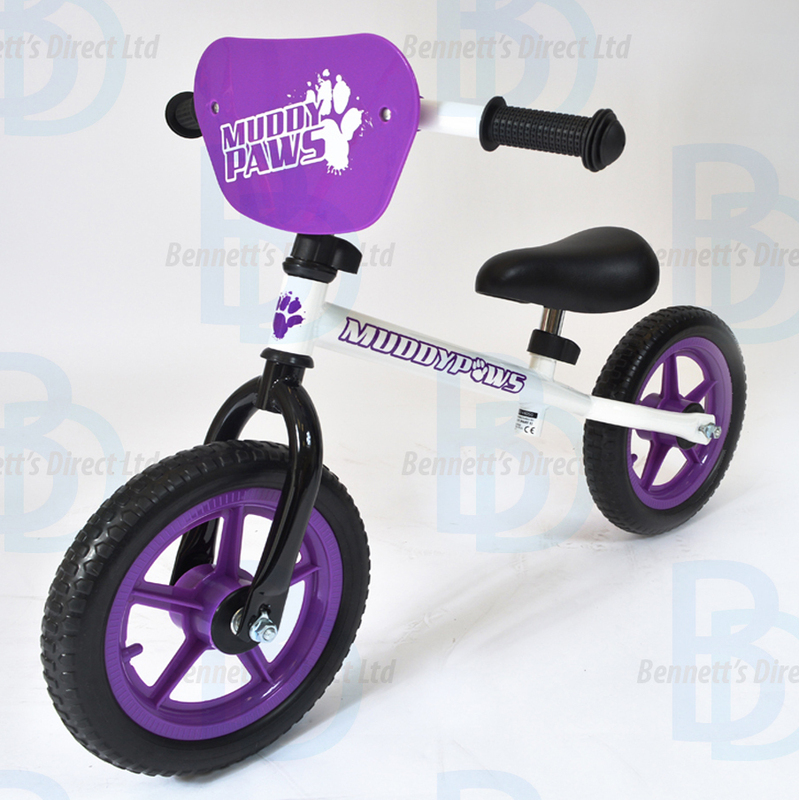 All Weather Puncture Proof Tyre, Plastic Rust Free Mag Wheels, Comfort Grips, Adjustable Saddle Height and front plaque. Suitable for ages 18 months+. 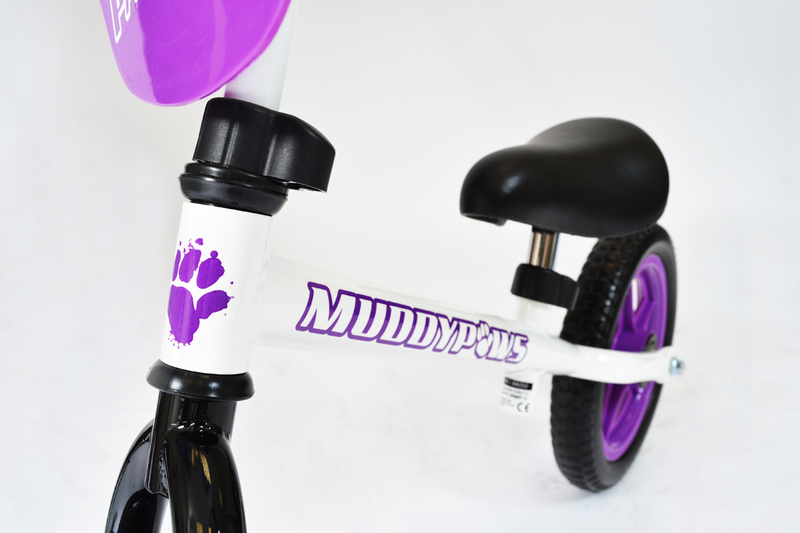 Finished in White and Purple.